Insurance against loss due to an unknown defect in a title or interest in real estate. In other words, title insurance covers past title problems that come up after you buy or refinance a property. It depends on local custom. In the DC metro area traditionally it is the homebuyer who pays for title insurance and title services. Because the person who pays for the policy selects the title insurance company, it is the homebuyer’s right to shop for and choose the title company and closing agent that will process closing. Yes and no. If you’re taking out a loan to purchase your home, the mortgage lender will require you to purchase what’s called a lender’s title insurance policy, also known as a loan title insurance policy, because it protects the lender for the full amount of the home loan. A second kind of title insurance policy, known as the owner’s title insurance policy, is optional. Owner’s title insurance protects the homebuyer for the full amount of the property’s value. Most real estate professionals advise in favor of purchasing owner’s title insurance protection. Find out why on the next slide. Why would I buy an owner's title insurance policy if it's optional? Unlike most types of insurance we buy to protect us in the future, title insurance covers past title problems that come to light after you’ve closed on your home. Lost, forged or incorrectly filed deeds as well as property access issues and liens on a property are a few examples of title issues that may not be identified at the time of closing. In the grand scheme of things, purchasing an owner’s title insurance policy is a matter of a few to several hundred dollars more paid at closing, while the risk of forgoing the protection is a loss in the hundreds of thousands – to potentially millions of dollars range. Without an owner’s title insurance, you may be on the hook for the legal expenses and other costs to settle the dispute. Even worse, if you’re unsuccessful at defending title, you could lose your home and all cash invested in the home. An owner’s title insurance policy means your biggest asset has the backing of a multi-billion dollar insurance underwriter and its legal department – should anyone make a title claim, you will be covered and compensated for any losses at no additional cost. What types of owner's title insurance policies are available? You’ll have the option to choose between two types of owner’s title insurance policies, and you can wait all the way up until the day of closing to make your final decision. The Standard policy is sufficient for the majority of cases. It covers issues that should have been identified and resolved prior to closing. For an additional 20% an Enhanced policy is also available. It includes the same coverage as the Standard policy as well as a number of post-closing issues. An Enhanced owner’s title insurance policy is not always necessary, so talk to your title attorney or closing agent to help you decide the appropriate level of coverage for your real estate purchase. Do all title companies charge the same amount for title insurance premiums? There are several title insurance underwriters all over the country that insure title, and they don’t all file the same rates. Sometimes title companies become agents of multiple underwriters, using one title insurance underwriter for one jurisdiction while using a second underwriter for policies in another, etc. This is another reason we encourage homebuyers to shop several title companies before making a final selection. Are title fees regulated by the state or local government? 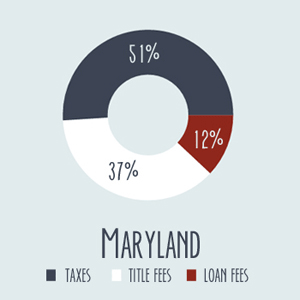 Title company fees are not regulated by state or local government (yet). Because title companies differ in their operational costs and losses experienced (i.e., title claims paid), service fees vary. 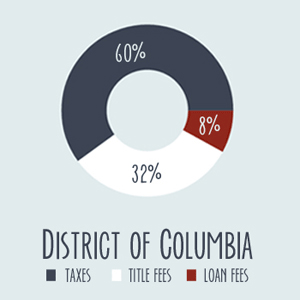 In the DC metro area, title company fees vary by as much as $1,000 more more. This is yet another reason we encourage homebuyers to shop several title companies before making a final selection. State insurance commissioners require title insurance underwriters to file their rates every year, and then title companies are bound by the same rates because the title company acts as an agent of the underwriter. What title insurance premium discounts, if any, are available? The first thing to ask your title company about is a “reissue rate” discount. This discount is dependent upon the title insurance underwriter as well as the property’s location, but it can lower the cost of your policy premium by up to 40%. Secondly, when purchasing the lender’s and owner’s title insurance policies together, you should receive a “simultaneous issue” rate. Many homebuyers don’t realize they’re receiving this special rate and are surprised to see how expensive a lender’s title insurance policy becomes when they opt out of purchasing the owner’s policy. This is not because the agent or underwriter is trying to push the homebuyer toward buying both policies. It’s because the agent still has to do the same legwork to issue a lender’s title insurance policy. Are there other ways a homebuyer can save at the closing table? The No. 1 way to save on closing costs is to shop for title services by comparing title insurance premiums and title service fees. Title insurance and title fees make up on average about 30 percent of closing costs, which represents the single largest pot of closing costs that are variable. There’s not much wiggle room in the other two pots: Taxes paid at closing are based on the purchase price (read: non-variable) and account for roughly 55% of closing costs. Loan costs make up around 15% of closing costs, and lenders’ costs are required by law to remain constant throughout the entire transaction or else pay hefty fines. The No. 2 way to save on closing costs is by selecting the Standard title insurance policy over the Enhanced (provided it is the best choice for your unique homebuying situation; consult your closing agent). Many title companies quote the more expensive Enhanced policy right off the bat. By requesting a Standard policy, you could lower your title insurance premium by about 15%. How do I shop and compare title companies? In the age of high speed Internet, it’s easier than ever to obtain quotes from several local title companies online. These days most title companies offer some kind of Web tool for generating quotes for title insurance and title services. In fact, a title company that is not technologically advanced or transparent enough to offer online quotes, or one that does not openly publish its title service fees on its website, should raise a big red flag in your mind as a consumer. How do I interpret quotes received while shopping for title services? The best way to decipher your closing costs quotes is to compare the “costs at closing” listed at the bottom of Page 1 on your preliminary Closing Disclosure like the one you can create here. Become familiar with some of the tricks title companies play that give the appearance their rate is lower. For example, some title companies will publish a very low settlement fee and then in the fine print tell you it doesn’t include costs for a bevy of title services that are typically involved in a real estate purchase – those fees are extra. Be sure to confirm what all is included in the settlment fee when you receive your quote, or ask if the fee is all-inclusive. Once you’ve determined the true settlement fee for each title company, you’ll be able to do an apples-to-apples comparison and choose the title company that is right for you. Can't my real estate agent or lender choose a title company for me? While getting title company recommendations from a real estate agent or lender can be useful, homebuyers should be aware that these agents may be encouraged by their bosses to refer homebuyers to a “preferred” title company that is affiliated with their company via an Affiliated Business Arrangement (ABA) or Marketing Service Agreement (MSA). Closing with a title company that participates in ABAs or MSAs will increase your chances of overpaying for closing costs by roughly 100%, so buyer beware if you decide to let your agent or lender take the reins on the selection process. The federal government has gone to great lengths over the past several years to make sure consumers understand exactly what they’re signing up for when they purchase a home with a bank loan. As an extension of the mortgage industry, title companies are now strongly encouraged to clearly outline their fees. The good news is it’s getting easier for homebuyers to shop, compare and save on title services. So what exactly are ABAs and MSAs? The Affiliated Business Arrangement (ABA) is a business model in which the title company incentivizes business referral sources by offering a legal “kickback” or share in the profit for each closing they refer. It’s considered legal only if the business relationship is disclosed in the closing documents. However research shows most homebuyers remain unaware of how these kinds of relationships affect their real estate closings. The same research shows when made fully aware, the vast majority of homebuyers prefer choosing an independent title company that does not benefit financially from their closing. Recent legislation suggests the government is catching on and cracking down on these legal kickbacks. On the other side of the coin is the Marketing Service Agreement (MSA), which is a business model where the title company incentivizes business referral sources by paying all or a portion of the referral source’s marketing costs. An example would be if a real estate agent placed an advertisement in the local newspaper, and their “preferred” title company paid for it. Another example would be if a real estate agent hosted a client cultivation event, and the title company footed the bill. Because these ABA and MSA title companies are sharing a portion of their profit with their referral sources, they tend to have higher fees. In other words, the added cost is passed through to the homebuyer resulting in higher closing costs. My lender says I must buy a new title insurance policy when I refinance. Why? During the course of a refinance, your lender will pay off the original home loan and grant a new one that will require its own title search and title insurance policy. The good news is you won’t have to buy a new owner’s title insurance policy. I am ready to order title services. How do I do that? When it’s time to order title services, you or your real estate agent can visit federaltitle.com/order to place a request for title services. The process takes all of five minutes, and no monies are exchanged until the day of closing. As a rule of thumb, tack on 3% to 6% of the purchase price to account for closing costs. In our scenario, we used a purchase price of $500,000 and a conventional loan of 20% to illustrate how closing costs are broken down. 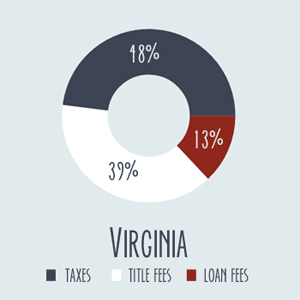 As you can see from the donut charts above, taxes make up the bulk of closing costs for purchases in Maryland, Virginia and the District of Columbia followed by title fees. That’s why it’s so important for homebuyers to shop for title services. If math is not your forte, try our free iOS and Web app to calculate your total cash to close. Title agents discover an issue with title in roughly 1 in 3 closings. Most title issues are resolved pre-closing, but about 5%result in a title claim.Oftentimes, buyers and sellers never have to hear about the behind-the-scenes curative work that goes on pre-closing. This is because most consumers choose to purchase an owner’s title insurance policy. Title insurance is a billion-dollar industry, but unlike property and casualty insurance, the bulk of premiums written go toward paid losses (claims) and operating expenses. Most types of insurance (i.e., health, life or auto insurance) cover future incidents, and the bulk of those premiums go toward claims. 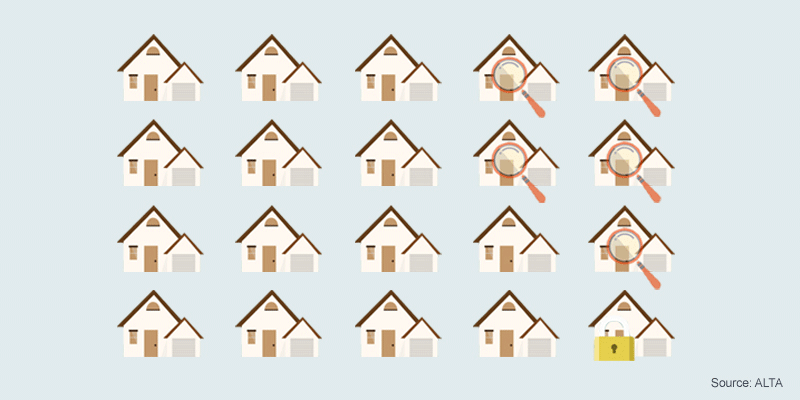 Title insurance is about loss prevention, which requires a lot of up-front leg work: searching, identifying and eliminating risks that could lead to a title claim. THE STACKED BAR CHART offers a snapshot of the title industry nationwide between 2004 and 2014. The dark blue bar shows how title premiums-written dropped as the Great Recession set in and have slowly rebounded since. The orange bar shows that claims-paid have stayed fairly constant (just below $1 billion on average), and there was a slight uptick in claims paid during the Great Recession when many foreclosures were on the market. The fuchsia bar shows the title industry’s operating expenses, which were quite a bit higher prior to the Great Recession. Many title agents downsized or closed their doors all together during the worst of it, which lowered industry operating expenses. At the same time new government regulation and advancements in technology have led to much streamlining of the industry. Finally, the bright green bar represents adjusted net income for the title industry. In 2008 and 2010, the industry operated at a loss while the other nine years the industry profited.